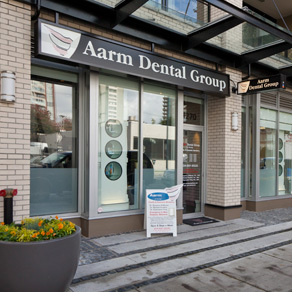 If you are a person who fears the dentist more than anything else, go to Aarm on Hornby. I grew up being traumatized by bad dentists and when I went to Aarm everything changed. The people are chatty and make you feel so comfortable. Even the dentists just chat and make small talk which is unlike any other experience I’ve had. Most dentists seem to just rush through things. When I first went in I was nervous sweating and by the time they started the procedure I was relaxed. I told them to treat me like a kid and I swear, I haven’t felt one needle or any discomfort and I’m a poster boy for teeth issues. I had my second root canal last week and the new dentist, Dr. Hedy made it almost a pleasure if I dare say so. A root canal needle goes deep and she took 5 minutes to insert it. Didn’t even feel it at all. Class acts all the way! 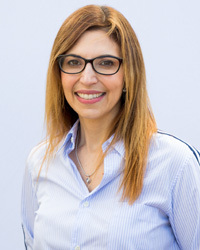 Dr. Hedy Akhlaghi has been working as a dentist in BC since graduation from University of Manitoba Faculty of Dentistry with a DMD degree in 2010. Before joining the Aarm family she worked at Elgin Dental Group in Port Coquitlam for 6 years while also working part time at UBC with Geriatrics Dental Group. She has also worked in a dental clinic in Mission for 3 years. She has a passion for giving back to the community and has contributed many hours treating disadvantaged residents of Vancouver at the Eastside Dental Clinic as a volunteer dentist. When not working, she loves spending time with her husband and their little son. Her mother is also a dentist and she had the privilege of spending time at her mom’s office and observing her work since very young and it started her interest in dentistry. She also plays piano and do yoga in her spare time. 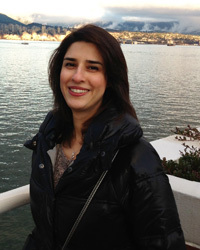 Dr. D’Alfonso graduated from the UBC School of Dentistry in 1997 and did her undergrad in Pharmacy. She has been involved in numerous study clubs, most enduringly the City Core Endodontic Study Club where she is mastering difficult root canals. 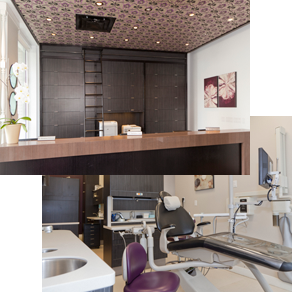 Her practice at the Hornby location has evolved over the past nine years and presently she is performing many esthetic procedures along with general Dentistry. Also, the pediatric population of her practice has delightedly increase ten fold. Outside the dental office she enjoys playing the piano, reading,working out, entertaining, and traveling. Aside from English she speaks fluent Italian and conversational French and Spanish. Dr. Fong graduated from UBC Dental School in 1993. She has honed her expertise for the last 10 years in two Crown and Bridge Study Clubs and has been a member of the Vancouver Perio-Prosth Study Club for the past 6 years. Dr. Fong enjoys traveling and has volunteered in Costa Rica providing dental care to those less fortunate. Locally, she gives talks to various schools teaching children about oral health and is a Mentor to UBC dental students with the UBC Tri-Mentoring Program. As the mother of two young daughters, Dr. Fong keeps busy and loves outdoor activities, especially hiking, cycling, and running. She has been at the Hornby Office for 14 years and enjoys general dentistry, as well as periodontics and cosmetic dentistry. 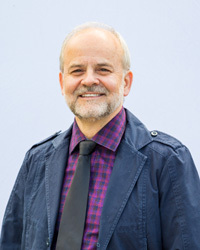 Dr. Flunkert is a graduate of UBC Faculty Of Dentistry Class of 85 and has been practicing in Vancouver since then, for the most part as an original member of the AARM Dental Group. On graduation he received top awards in oral surgery and periodontics and became a member of the prestigious O.K.U. ( Omicron Kappa Upsilon) dental honour society which is awarded to top graduates in every graduating class. Dr. Flunkert has been involved in numerous post graduate study groups…Endodontics, periodontics, prosthodontics, cosmetic dentistry , and most recently, dental implants. Dr. Flunkert has completed three years with the Vancouver MAXICOURSE program and Has passed the written portion of the AAID (American Association of Implant Dentistry) examination process. Dr. Flunkert is also currently ( 2017/18 )serving a two year term as a Board Member for the College Of Dental Surgeons Of BC. In addition to his full time dental practice, Dr. Flunkert is still active in the local Vancouver music scene as an accomplished steel guitar player.